A new family care doctor with a passion for rural health care recently joined the Vista Health team of physicians practicing at Desert View Hospital. Dr. Cesar Katigbak began seeing patients at the medical offices located on the campus of Desert View Hospital across from the emergency room earlier this month. He comes to the area from Bullhead City, Ariz., with more than two decades of practical experience gained at medical facilities across the United States. Katigbak, who attended medical school in the Philippines before venturing to Chicago, Ill., to complete his residency, said he was inspired to join the medical field after he realized he wanted to become part of a profession his family had long been involved in where he could help people on a daily basis. Though Katigbak initially began his medical training in the field of pathology, the doctor said he soon came to realize that wasn’t the specialty he wanted to pursue for the rest of his career. So in the mid-1990s Katigbak decided to move east to Redding, Penn., and enroll in a second residency program, this time in family medicine. After completing his second round of specialty training, Katigbak said he moved around a bit, working for different physicians’ groups until he joined what is now the Vista Health practice in Bullhead City in 1998 where he has worked ever since. Katigbak said throughout his career he’s had the opportunity to work in both smaller, rural practices as well as in large hospital settings. Between the two, however, the physician said he prefers working with patients in the smaller rural areas. “Having worked in a huge hospital setting, you know, you do a lot of things, getting unnecessary calls. Those patients are sicker, they’re in the hospital, but I was seeing so many patients a day I didn’t really get to know them. And I did that for like 20 years, a long time. And you get caught up in things and it’s like you go there and it’s a job. You fix them and go home. In rural work I enjoy it more because I get to interact more with the patients,” he said. Through his work in Bullhead City, Katigbak said he has gained a great deal of experience working with geriatric, or elderly patients — a skill he said plans to put to use in treating new patients he’ll see here in Pahrump. The doctor added that he plans to provide excellent care to all of his patients, and hopes to be able to serve the large veteran population in the community as well. 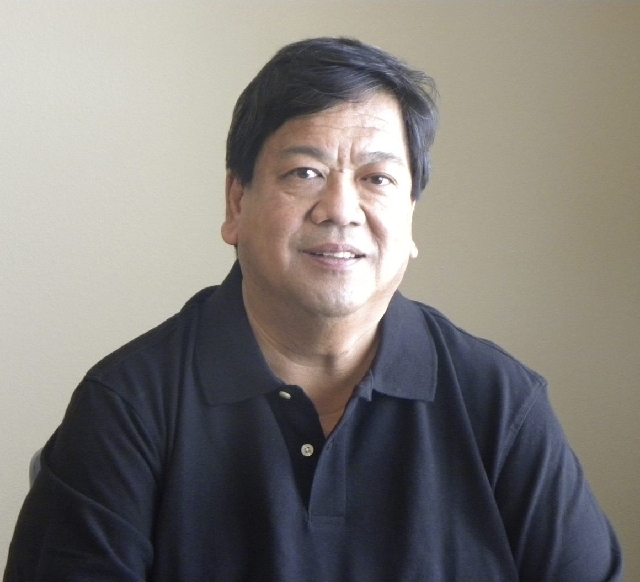 Katigbak is currently seeing patients at his Pahrump office located across from the emergency room at Desert View Hospital on Mondays and Tuesdays. The rest of the week he travels to other Vista Health practices in Overton and Bullhead City to see patients there as well. The physician said he treats patients school-aged, around six or seven years old and older as part of his practice. For more information on what services Katigbak can provide or to make an appointment, those interested can contact the hospital by calling 775-751-7500.